Colorful Pennant Strings are a delightful way to grab attention and add a bit of color to your events. 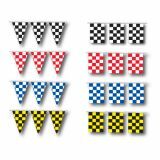 Available in a palette of colors, sizes and shapes, these flags will add a festive flair to all types of events. As the pennant strings flutter and fly in the wind, it will create a dramatic and head turning moment for even the most discerning pedestrians and drivers passing by! 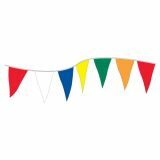 String pennants are great for grand openings, festive promotions, sports events, festivals, birthday parties and in fact any occasion where you like to have a splash of color and beauty to attract attention. Shop from our collection of Pennant Strings and find the best prices, quick shipping and much more! 100% customer satisfaction guaranteed! If you want to enhance the event settings with a burst of colors and a festive feel, look no further than these cheerful Pennant Strings. These head turning pennant strings are available in a array of vibrant colors so that you can choose colors that complement your event. 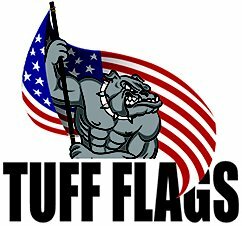 Tuff Flags has a complete line of pennant strings that can be used for store openings, marketing, sports events or even to restricted access areas. 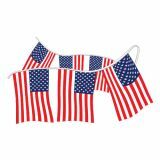 Choose from an irresistible range of flags including Mini US Flags Strings, Yankee Doodle Pennants, Patriotic Fan Dangles, welcome mini message pennants, triangle starter pennants, multi-colored heavy duty pennants, fluorescent pennants, Diamond Pennants and more! Pennant strings can be used for advertising special deals and during special events and holidays to grab attention even in crowded streets. A splash of color will give a cheery profile to even a low key campaign and the best part is that these are cost effective options to leave a statement. Ideal for both outdoor and indoor events. Perfect to highlight product displays, pennant strings are durable and can be reused many times. 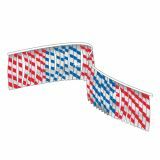 Our multi-colored Pennant Strings are great to create a festive atmosphere while these metallic 3/4"x12" strip strings will put up a dazzling display in the sunlight grabbing prospective customers' attention. Do not miss out the Fluorescent XTRA-Heavy Duty pennants which give you the ultimate choice in colors and a glittering spectacle. Surely these will draw attention towards your message. Call attention to your event. Use indoors or outdoors. No matter what you wish to do, pennant strings will never fail to impress! 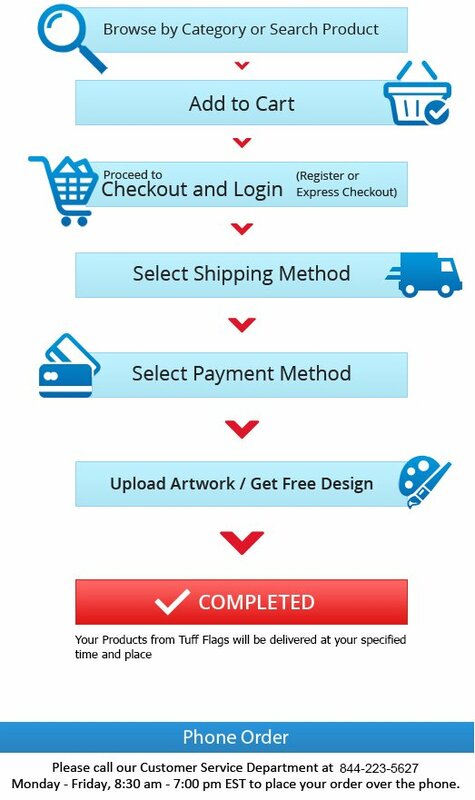 Just shop this category to find the one that suits your needs or should you need any selection tips, call (888) 287-3524 or email us at customercare@tuffflags.com.today.